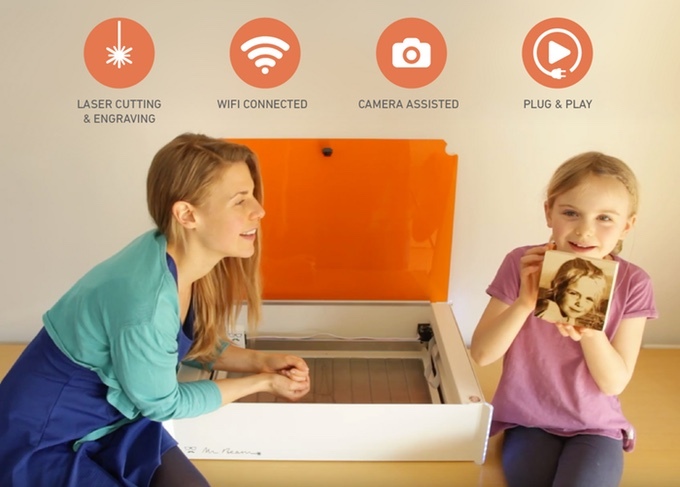 Your printer might be getting a new companion in the near future: a laser cutter. Mr Beam is working full-steam ahead on manufacturing the first units for delivery in February. The first models will be heading to the company’s Kickstarter supporters, who helped the Munich-based startup pull off the second most successful crowdfunding campaign in Germany on the crowdfunding platform. We learned about their funding success, the current state of affairs and future plans in an interview with their CFO, Sven Rens. Sven, you are currently in a critical stage, with the first laser cutters set to be delivered in February. How are things looking? Sourcing is virtually complete at this point. That means we have purchased all of the materials we need to manufacture the first batch. We made it through that major feat of communication, which requires the coordination of sales, logistics and manufacturing. Now we can start building the second-generation Mr Beam series. Our laser cutters are manufactured in Thüringen by one of our partners, whom we also worked with after our first Kickstarter campaign. The result has been an excellent partnership that we value greatly. This is also because our partner is very experienced in electronics assembly and supports us with their expertise. We also consider it a clear advantage to be within driving distance of our manufacturing site. That allows us to be on-site at the beginning of manufacturing and to quickly implement potential optimization measures. Things are looking good for being able to deliver the first units in February. What exactly distinguishes the second-generation Mr Beam from the first? The first model had to be assembled by the customer as a kind of DIY product – which actually made a lot of sense, since the units were clearly intended for the maker scene. As demand outside of that scene continued to grow and customers started to ask for more of a “finished product,” we recognized the market potential. It required us to develop Mr Beam I further, which is why Mr Beam II comes completely assembled and with a safety housing. Overall, the device is also more powerful and can be used more intuitively thanks to further development of the software. To implement the second-generation Mr Beam, you counted on crowdfunding again. Your target funding goal for your second campaign was 80,000 euros, but you amassed roughly 940,000 euros in the end. What were your initial thoughts after the campaign was over? Wow. We were not expecting that. We had an extremely low budget for the conceptual design and implementation of the campaign, totaling 1,500 euros. That had to pay for everything: video, editing, audio and much more. Just before we received the money from the second campaign, we only had about 800 euros left in our company account. Doing a second round of crowdfunding was not even our first choice. We approached VCs and business angels first, but we just were not able to find the right partners. What we could do was crowdfunding, since that was something our first campaign had already demonstrated. What exactly did you do with the collected funds? We actually used it to complete the development process. We had a functioning prototype, but it was still in need of improvement in some areas. The safety housing is the real innovation, and it is also what made it possible to get Mr Beam II certified. The laser is also more powerful and the software is simpler, with a wider range of functions. For example, we were able to make it much more intuitive to position a design on the material. A color-coding option has also been added to the system. This kind of technology is common for professional lasers, and now it has also made its way into desktop laser cutters. During the development period, we also gained additional experience in dealing with materials. We are now able to make recommendations about which materials and thicknesses should ideally be used. Why did you decide to use the Kickstarter platform a second time? When we started our campaign, Kickstarter was as big as all the other crowdfunding platforms put together, if not bigger – at least according to our research. It was also not our first campaign with them, so we were able to build on our existing network for Mr Beam. In addition, Kickstarter has an interest in having company models continue to develop and helping “alumni” start new campaigns. That is also why they so generously supported us, for example by making our campaign the project of the day at one point. During that period alone, we had 150,000 US dollars of sales volume. Another thing that fostered our success was the good timing of our product. Some similar projects exist now, but they are not on the market yet. 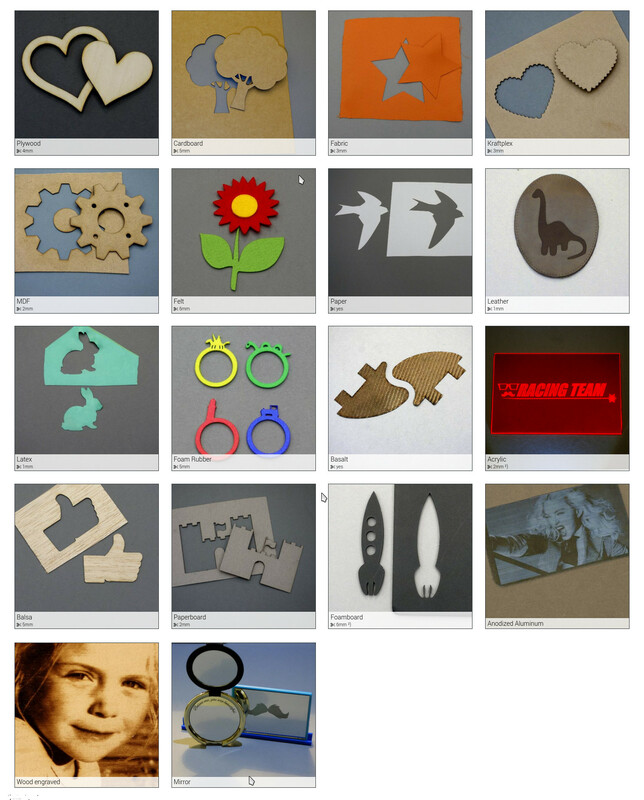 No one has produced and delivered a desktop laser cutter before. That being said, crowdfunding means more than just making sure the amount of money ideally continues to grow; it also involves work. The crowd wants to be able to communicate with you, too. And that includes every possible channel of communication. At peak times, we probably spent twelve hours a day dealing with those communications. And we hadn’t even built the device yet. The plan is to deliver the first units sometime in February. The original delivery date was planned for November 2016. How did you let your supporters know about the delayed delivery? And how did they react? The most common question asked since November was obviously about the delivery date. We tried to always keep our backers up to date on our progress and to give them a rough estimate of when the units would be ready for delivery. Because we always clearly and understandably communicated the fact that most of the factors causing the delay were external, our supporters were really understanding. This close communication got to the point where local supporters near Munich came by to see for themselves how we were progressing. We even put in some weekend shifts so we could keep our supporters informed about our progress. That was a good thing, because our visitors then let others know how things were coming along here, through their own channels of communication. What are your plans after delivering the Kickstarter units? We have been busy with online pre-sales again since October. Sales are going well at the moment, and we have not had to actively run any advertising. I think as soon as the units are delivered and the first customers are able to use and talk about them, we will be approached by even more prospective buyers. We also plan to invest more in advertising and to be a bit less reserved. And after that? Will you need more fresh capital? Yes, we are looking for investors right now. In order to grow faster, we will need about a million euros. Although we believe we could manage without investor capital, everything would take more time. Since we have our proof of concept, a product and an obvious market, investors are now ready to listen. They are still skeptical, because there is a lack of long-term experience in this field and our laser cutters are a new product. But we have been around since 2014 now, so we are able to look back on a few years of laser-cutter experience. We are also really proud of our team, which has come together over time and is still growing. However, talks with investors can take quite a long time. That is why we are not waiting for investor capital. With or without it, we are working on building our company on a daily basis. That being said, an investment would of course make it all happen faster. Would you recommend crowdfunding to others? Crowdfunding makes investing more democratic. Something that used to be reserved just for elites, namely supporting – or not supporting – projects according to their own taste, seems to be opening up somewhat due to crowdfunding. Strangely enough, though, the crowd can often act just like investors. The crowd also evaluates the team first and asks themselves whether the team will be able to deliver on their promise. What we value about crowdfunding – aside from the money and marketing effect – is that you learn to understand your customers, such as where they come from and what they want. That allows you to assess your marketing segments extremely well, which is definitely an advantage when defining your target group. For us, it was definitely the right choice. We have learned a lot: about our product, about being a company and about our target group. Learn more about Mr Beam.